We look forward to your arrival here in Williamtown, our team are excited to provide a warm welcome! Located at Newcastle Airport, just 25km from Newcastle and 30km from the picturesque Port Stephens, Mercure Newcastle Airport is the perfect location for the discerning business travellers, families or guests wishing to rest between flights. 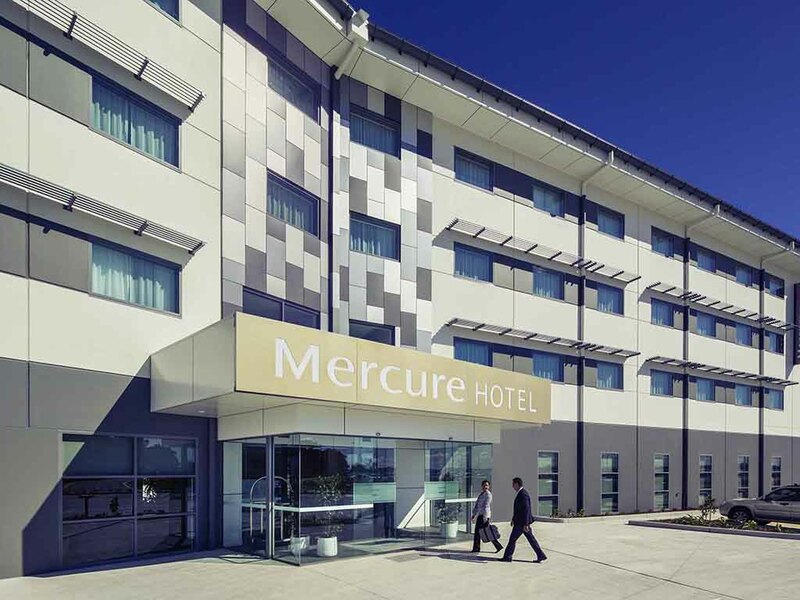 Mercure Newcastle Airport has spacious Rooms featuring a flat screen TV, soundproof windows, Foxtel, air conditioning and high speed WiFi Internet access. Mach One Restaurant and Bar is open daily for breakfast & dinner. The fully licensed bar also has an extensive selection of tap beers and local wines. Mach One bar serves light snacks and has an extensive selection of tap beers, local wines and cocktails.